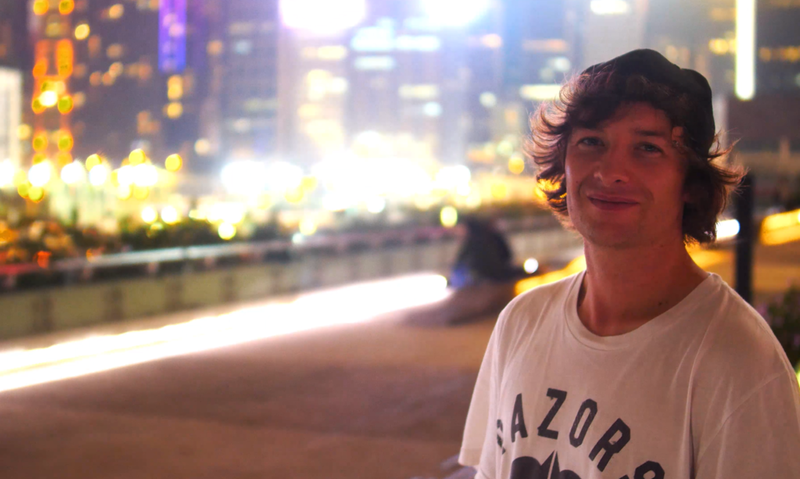 What skates did you bring to Hong Kong? What is your favorite memory of China? (M) Deniz screaming on people in German which is basically one of the most funniest memories - too many good ones to tell. (M) All the meat literally hanging into the traffic of the sidewalk/street. Was that your least favorite memory too? (M) No, the big fat rat running over our feets & legs at a spot. That is. Where do you want to travel next with JLD? Looking back, what do you miss most? (M) Having the whole crew getting out ready for new experience and skate. Can you describe your best day there? (M) Hard to say ... I almost loved every day! Any shoutouts before I let you go? (M) Shoutout to the whole Jetlag Disciple Gang, the boyz in Hong Kong for joining & showing us around and to the blading family around the world.